This chapter focuses on the nature of urban spaces in the field of policy. We begin with the basic principles of need created through urban areas and examining how urban spaces are created, before turning to the question of how cities develop. 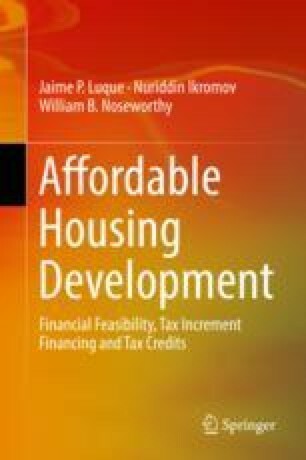 We consider the question of who pays and who benefits in the case of affordable housing policy from a theoretical and practical perspective. We additionally discuss the question of where to house inevitable homeless population found in any large urban space and give space to assess the broader need for affordable housing extending well beyond the homeless population of a given metropolitan area. In this examination, we focus on Madison, Wisconsin, and the local need in the case of the demand for affordable housing in Midwestern cities. We then turn to the practical solutions that policymakers pursue at the municipal and county levels. Given that these perspectives are often entirely different, but developers across the country will face similar situations of working with both municipal and county level governance, we consider both aspects carefully. We explore the perspectives of both urban and suburban management into conversation with each other, to provide developers, industry experts, academics, and public officials a means to continue the discussion. Our approach in this chapter is straightforward, but carefully considers the difficulties that mainly municipal and local policymakers face, along with pointing towards ways that developers could begin to unveil creative solutions to address the needs of the affordable housing market.